Doctors at Washington University School of Medicine in St. Louis are performing a new procedure to treat atrial fibrillation, a common irregular heartbeat. Available at only a handful of U.S. medical centers, this “hybrid” procedure combines minimally invasive surgical techniques with the latest advances in catheter ablation. 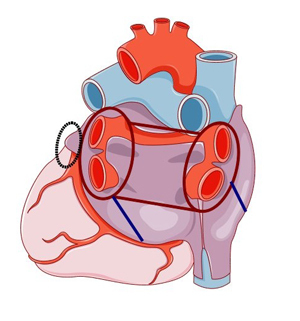 The two-pronged approach gives doctors access to both the inside and outside of the heart at the same time, helping to more completely block the erratic electrical signals that cause atrial fibrillation.